When I was a young boy, God gave me a gift. I really cannot remember when I learned how to play musical instruments. I just know I really enjoy playing! I began playing gospel music many years ago. I played string instuments with several different groups. I began with The Gospel Express in the early 90's. I also played with them when they became Southern Grace. Then I played with The Diplomats (The Lancers) for over a year, then One Accord. ​After that, I started Still Water Revival. Members were Joe Postell, Lee Postell, Kenneth Fennell, Tim Haygood, Adam Dodd and me. We have precious memories of Joe Postell. 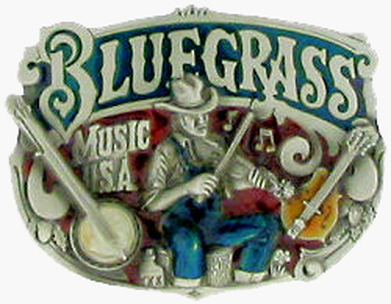 We all played different string instruments to form the bluegrass gospel sound and sang different parts. Later, in early 2000, I formed another group, The Jordan River Band. Members were Tim Haygood, Kenneth Fennell, Brandon Fennell, Adam Dodd and me. Many other singers and string instument players were a part of this group through the years. These two groups together ministered for 12+ years. Thanks to all who supported us, and I appreciete all the groups who let me be a part of them. It was a blessing ministering with all these great friends. Due to sickness in my family, unfortunately I am unable to play right now. My music ministry has definitely not ended. God has more in store. I hope my music is a blessing to all of you.